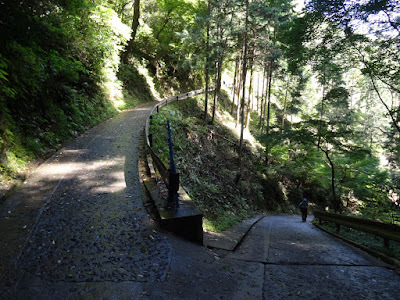 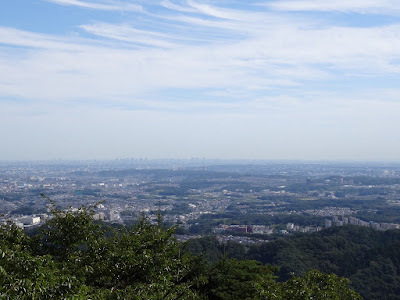 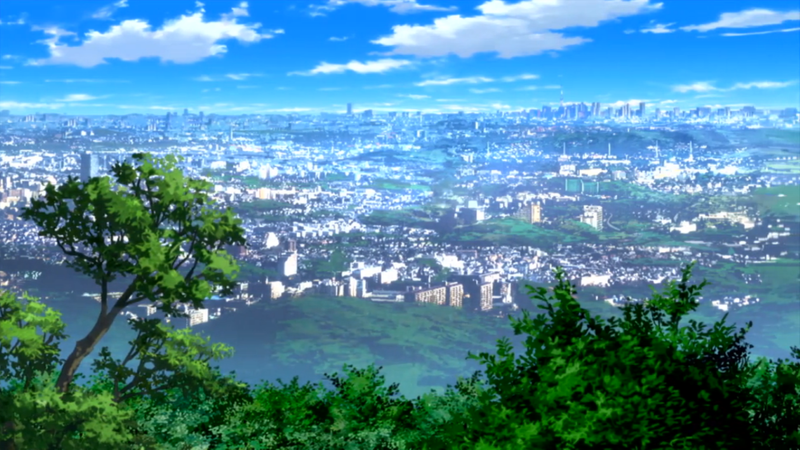 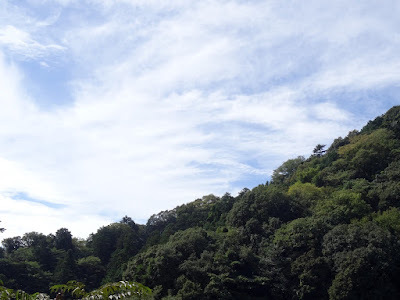 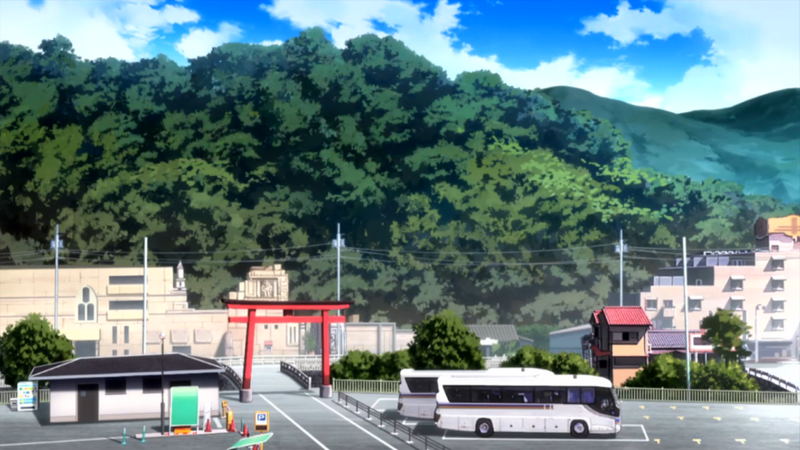 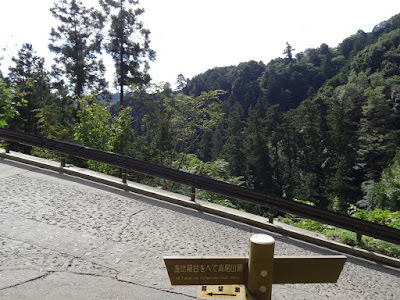 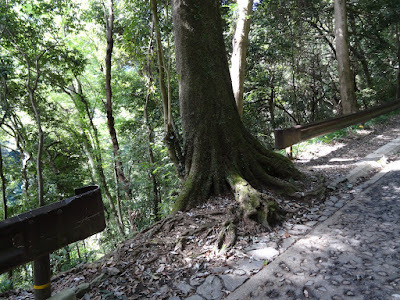 One of the mountains Aoi and Hinata climbs in season 1 of Encouragement of Climb is Mount Takao, so I set aside a day and checked it out. 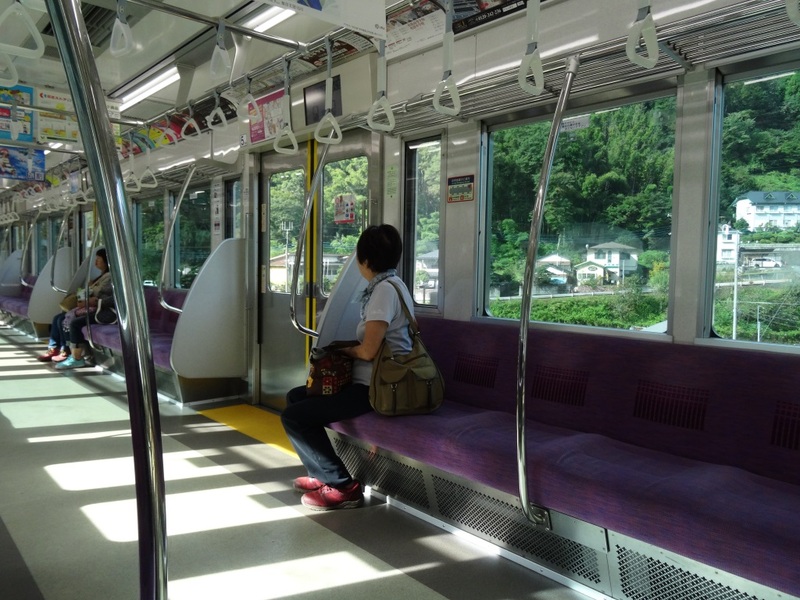 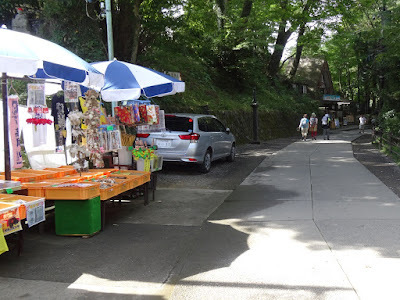 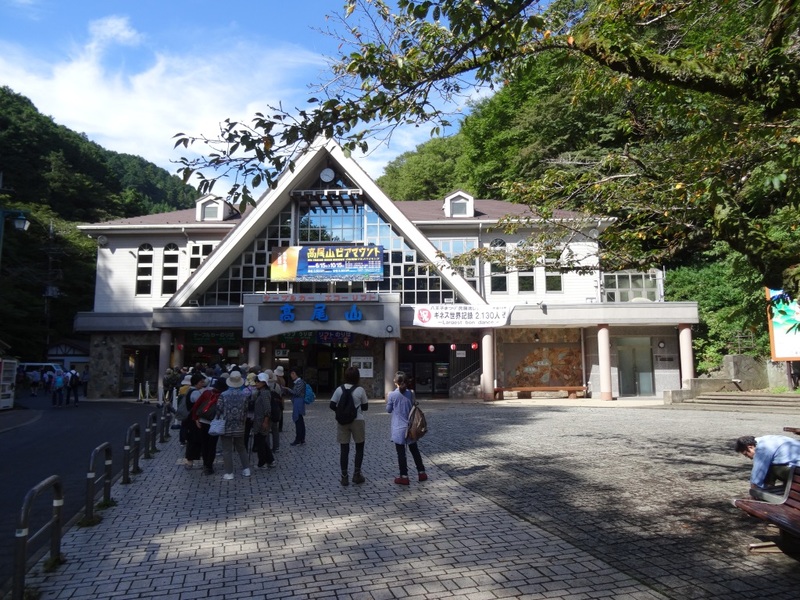 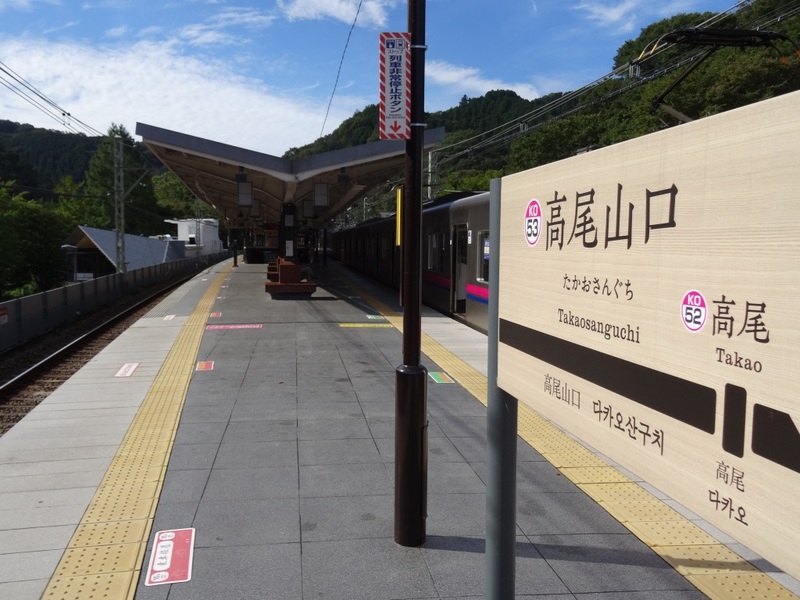 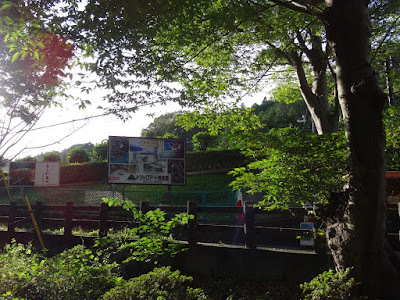 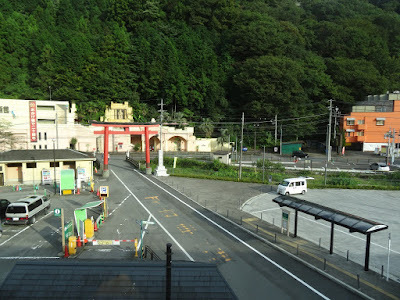 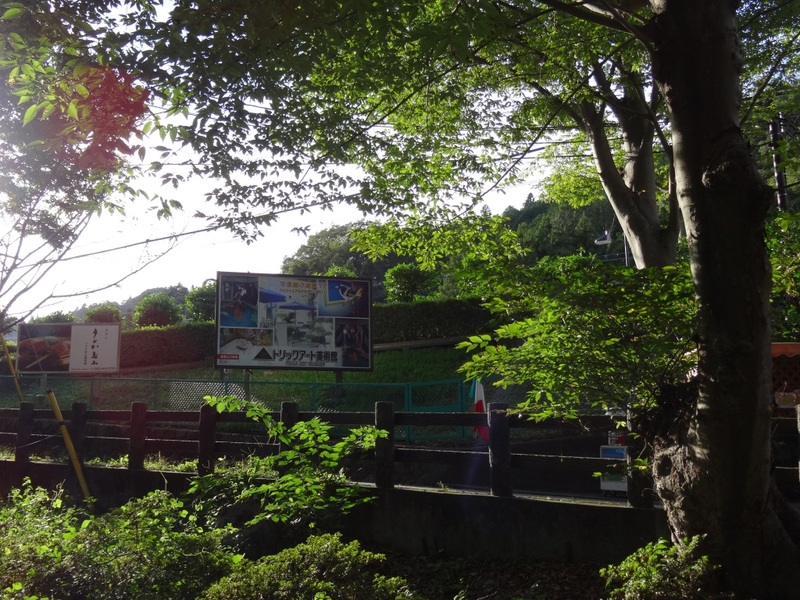 To get to Mount Takao you take a Keio train to Takaosanguchi Station. View from inside the train when I arrived at the station. 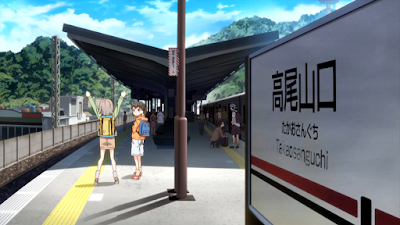 The station platform. The view in the last picture is on the left side. 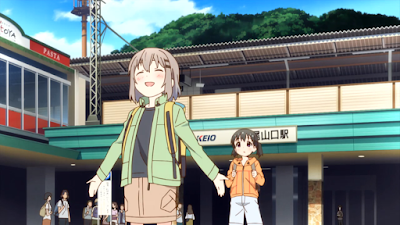 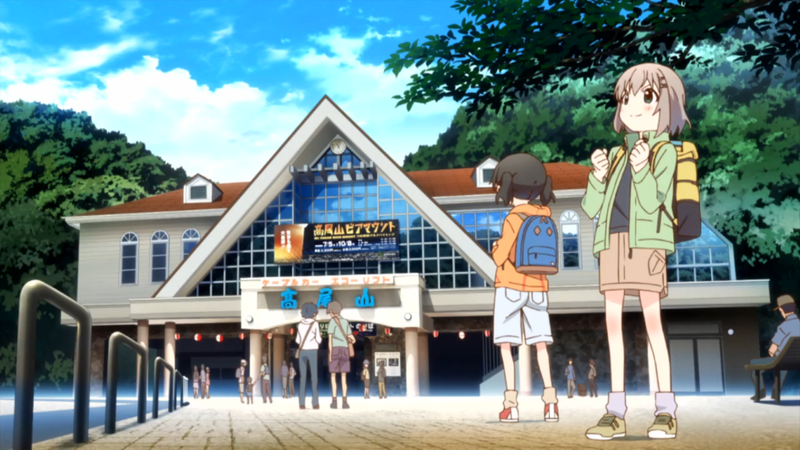 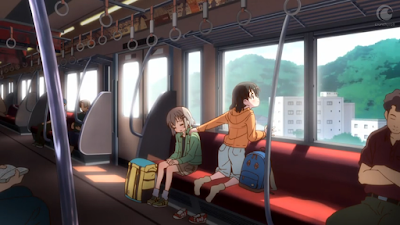 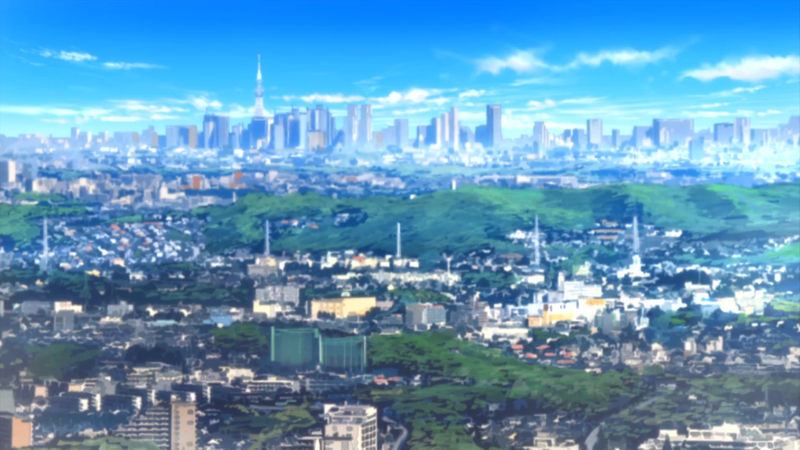 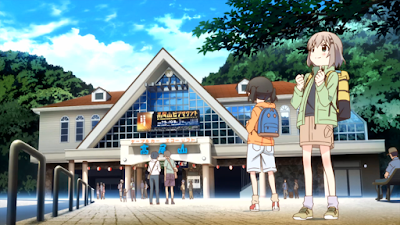 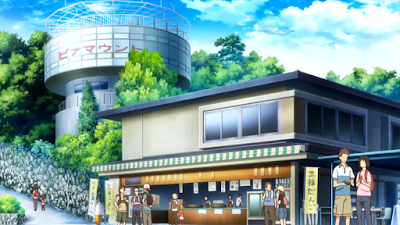 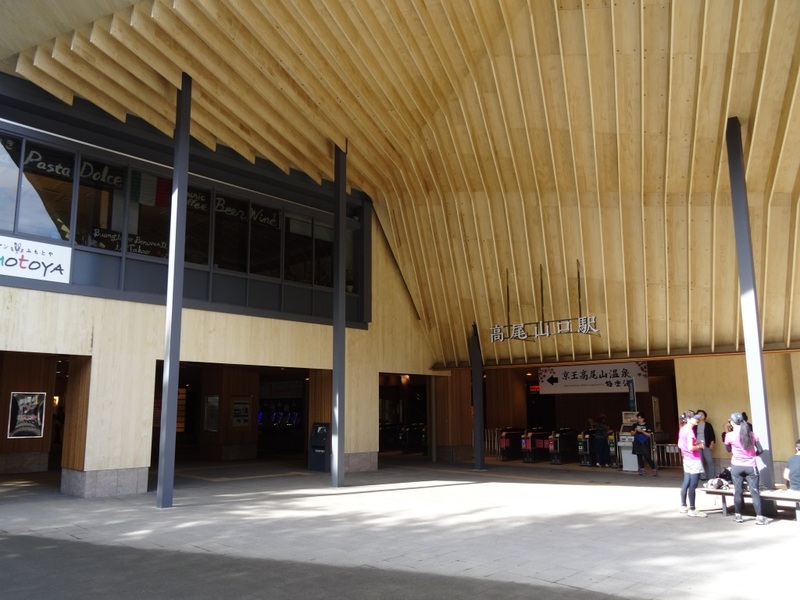 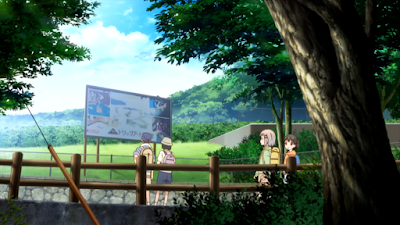 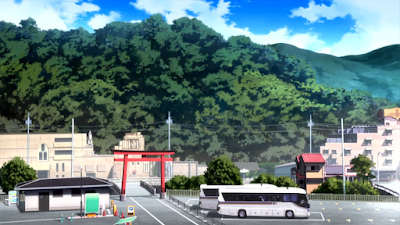 The station building was rebuilt in 2015, so it no longer matches the anime. The Italian restaurant on the left is still there though. This is a ropeway at the base of Mount Takao you can take to get half way up the mountain. 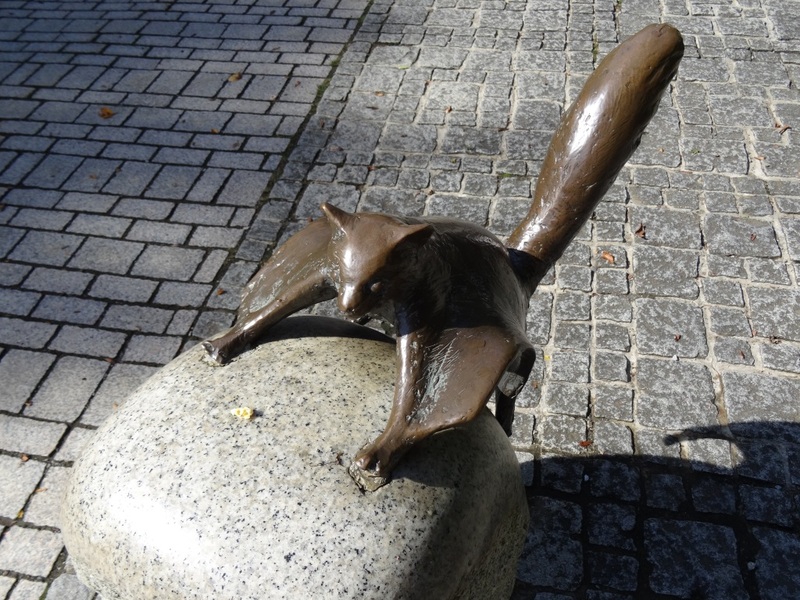 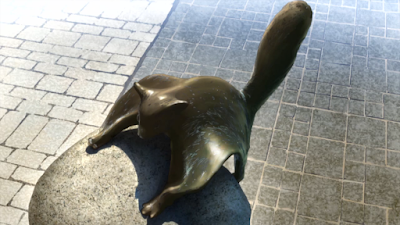 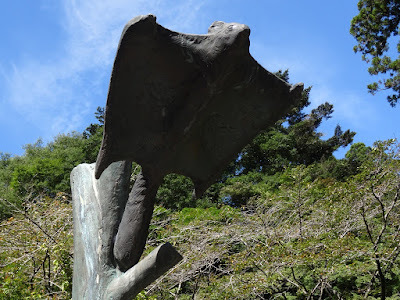 Another flying squirrel statue. 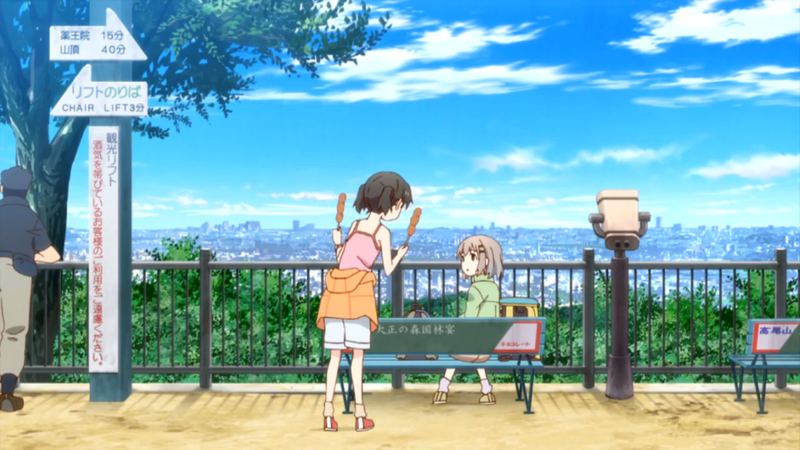 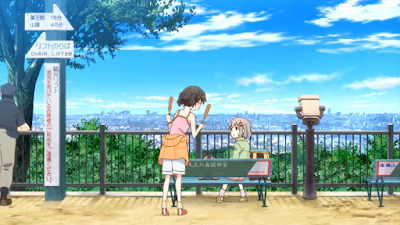 They're both in front of the ropeway station. 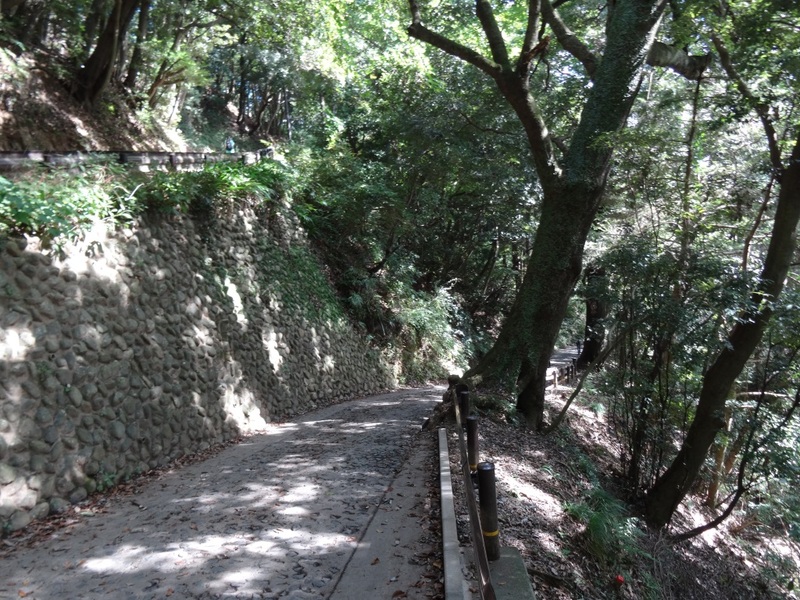 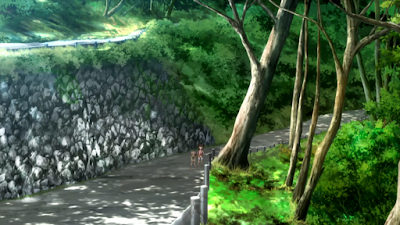 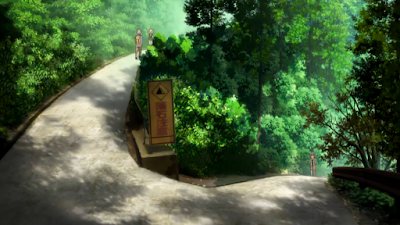 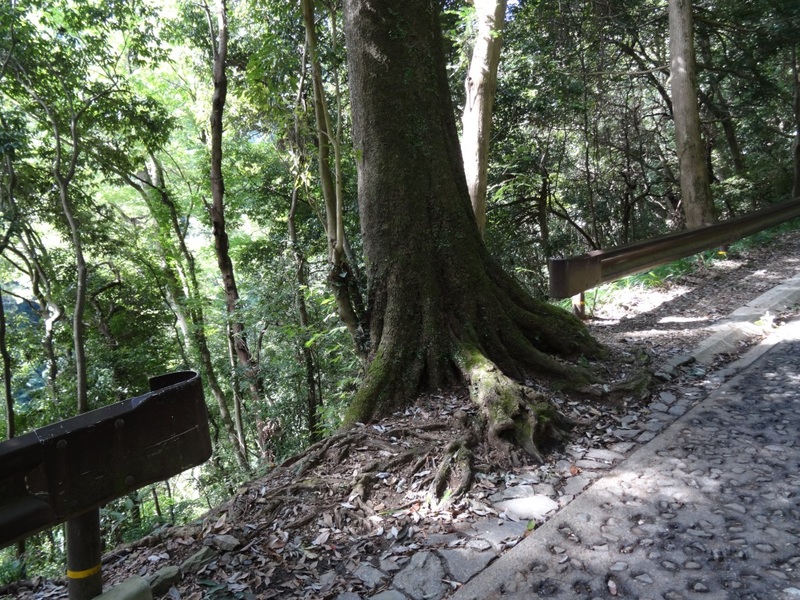 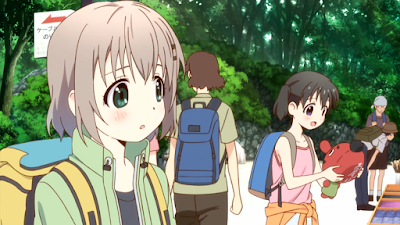 Aoi and Hinata chooses to walk all the way up using trail number 1 though. You can see the matching direction sign and trees on the left. 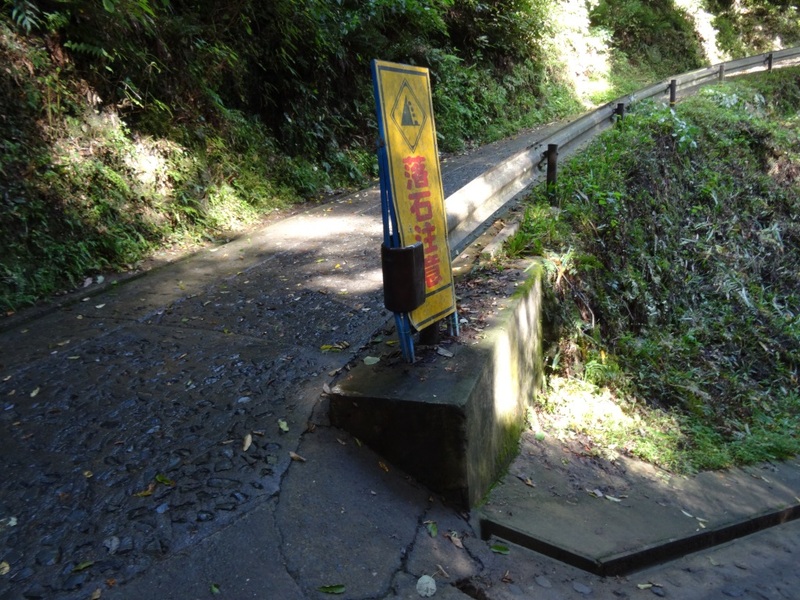 This road is the same as in the anime, except for the warning sign. The warning sign is facing in a different direction. This place is actually further down the mountain than the place with the direction sign in real life. 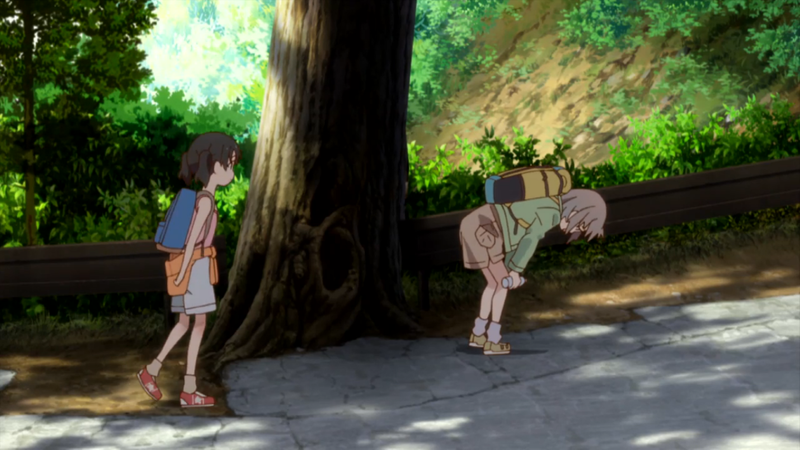 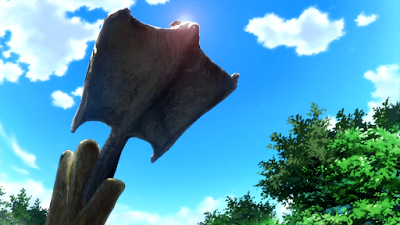 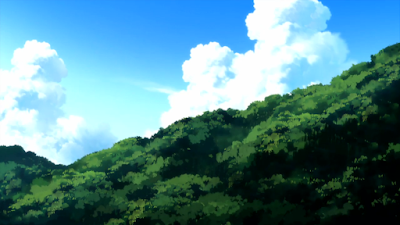 The tree where Aoi gets winded is different. This is the tree that's in the spot that's shown in the anime though. 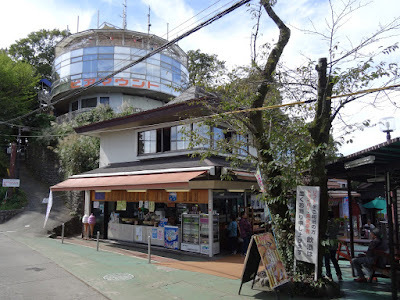 Buildings near the top of the ropeway. 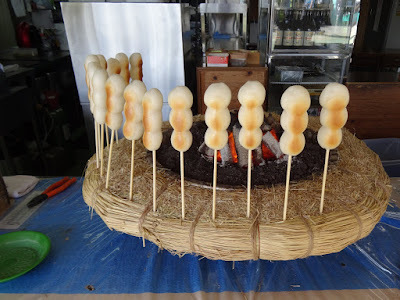 They sell food and drinks here, like this grilled mochi rice snack. 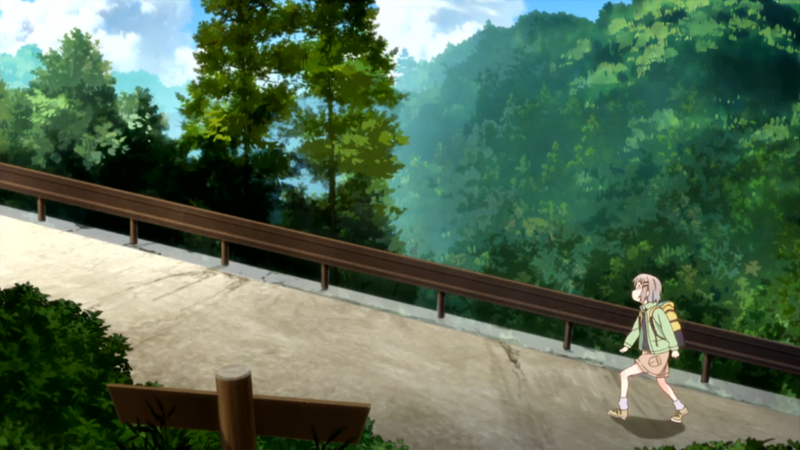 There's also an observation deck here. 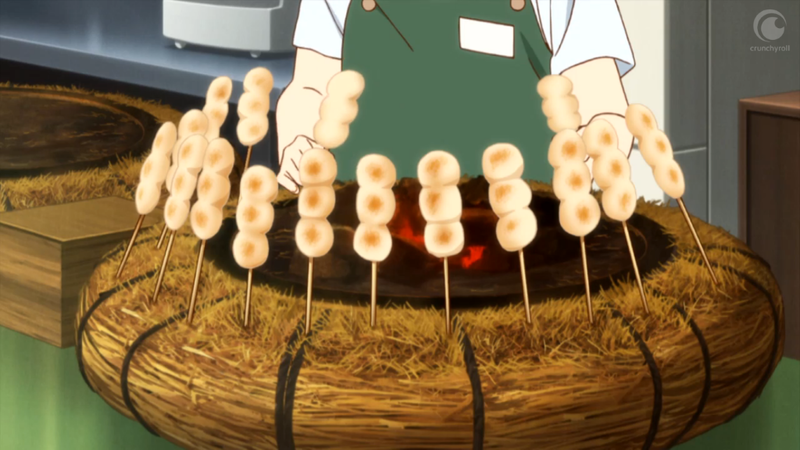 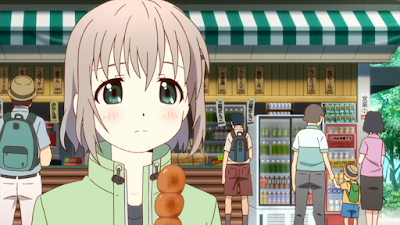 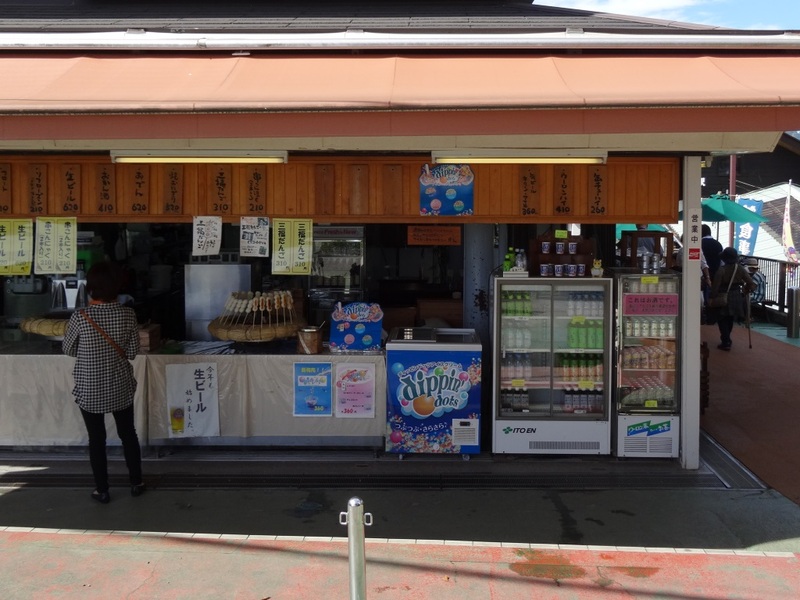 Aoi sitting in front of the shop selling grilled mochi. 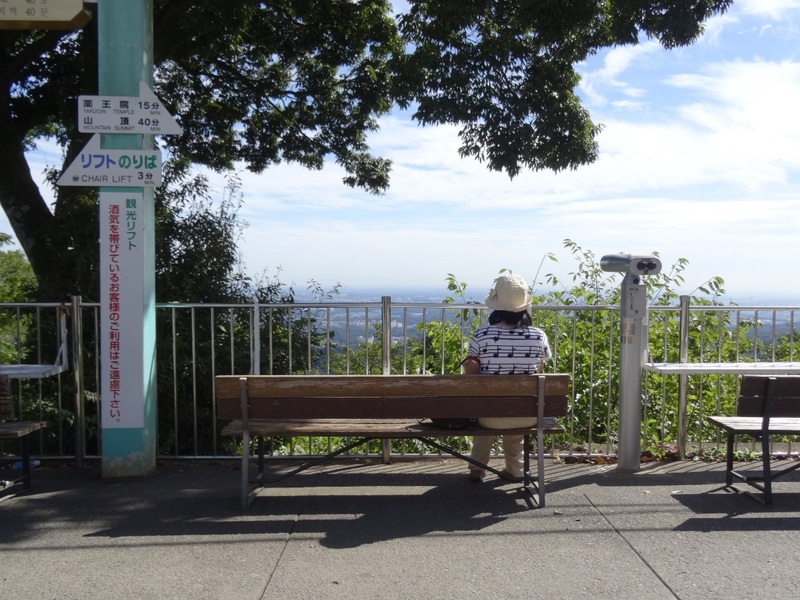 I tried some while sitting here as well. 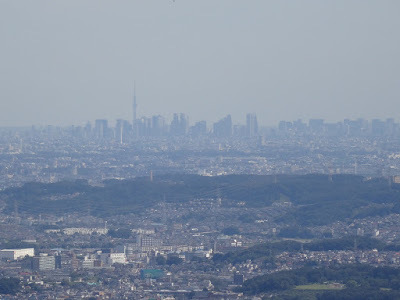 View of central Tokyo. 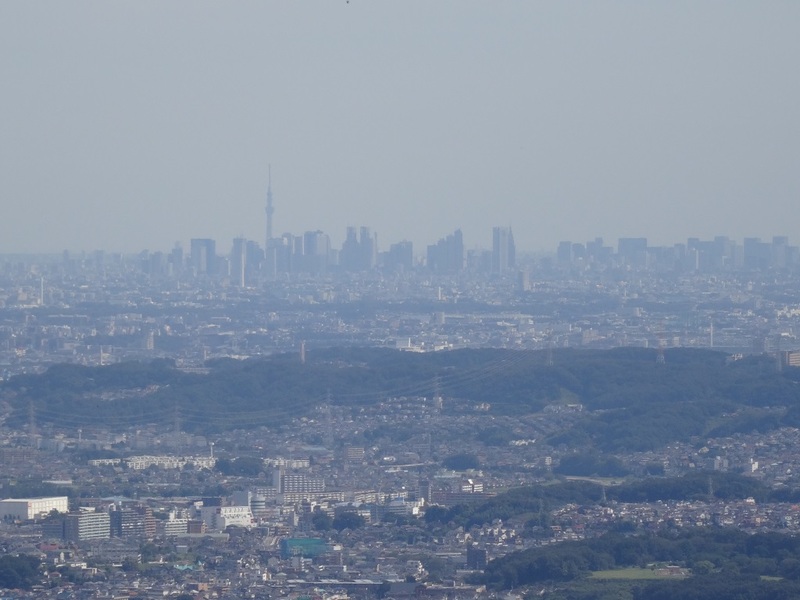 If you look closely you can see the tallest structure which is Tokyo Skytree. Slightly further up the road is this souvenir shop. 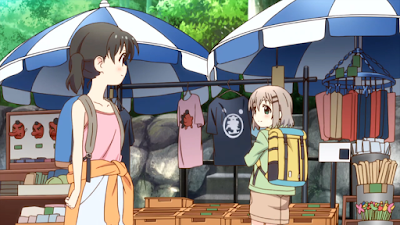 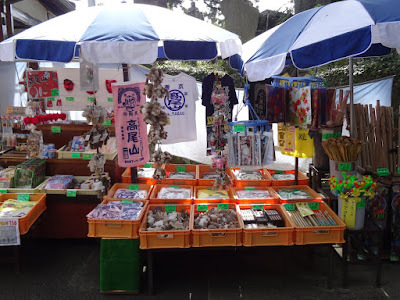 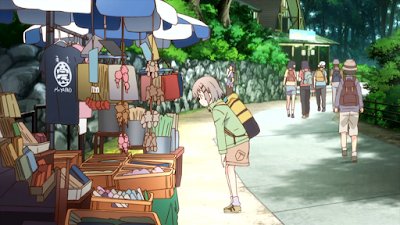 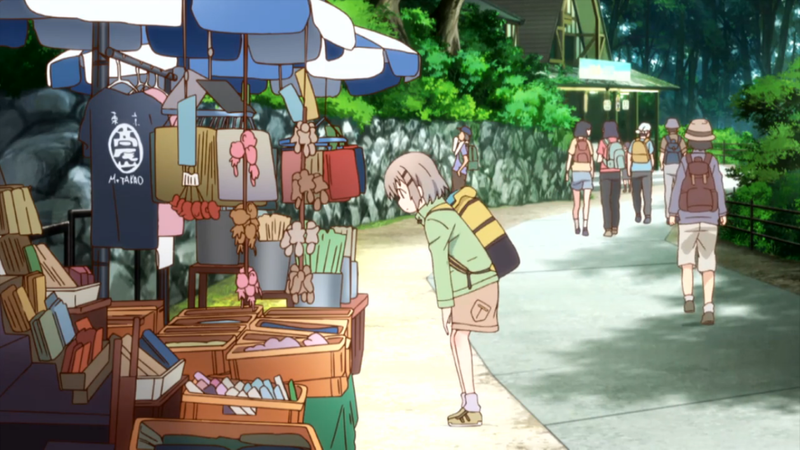 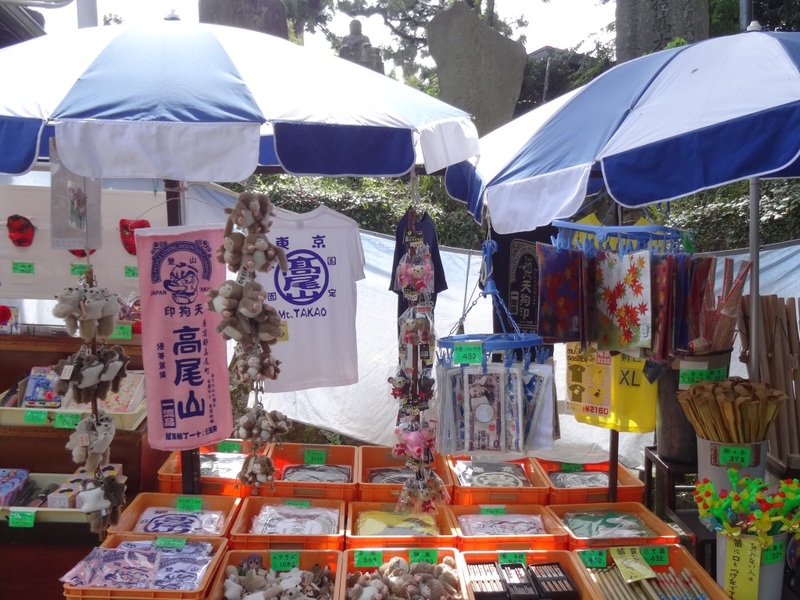 Aoi stops and looks at the souvenirs. 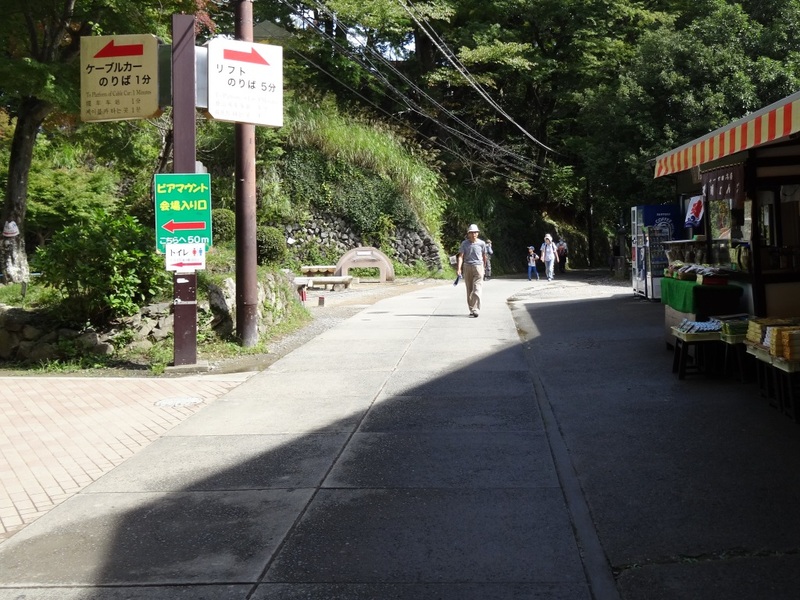 To the right in the background is the entrance to a monkey park. 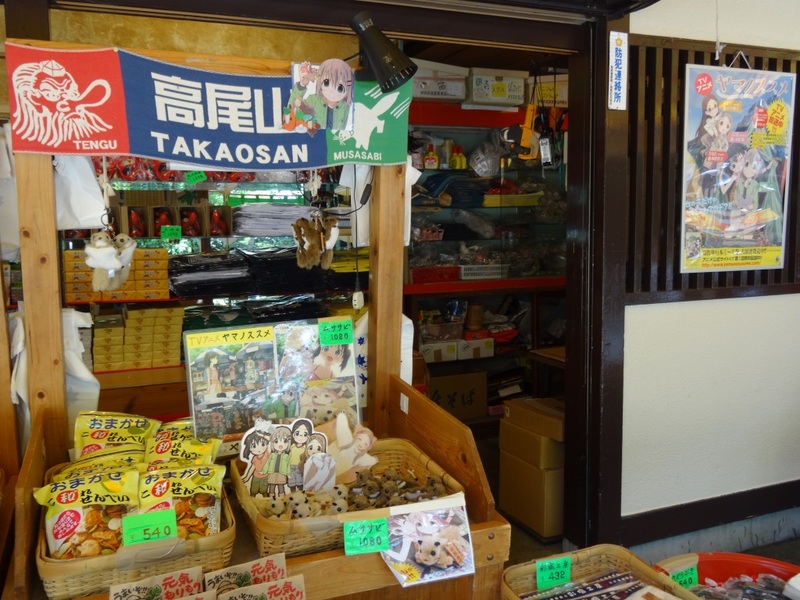 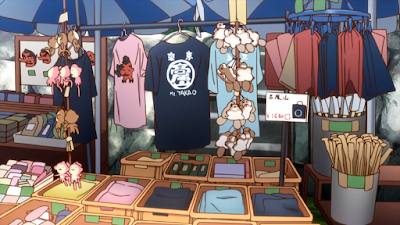 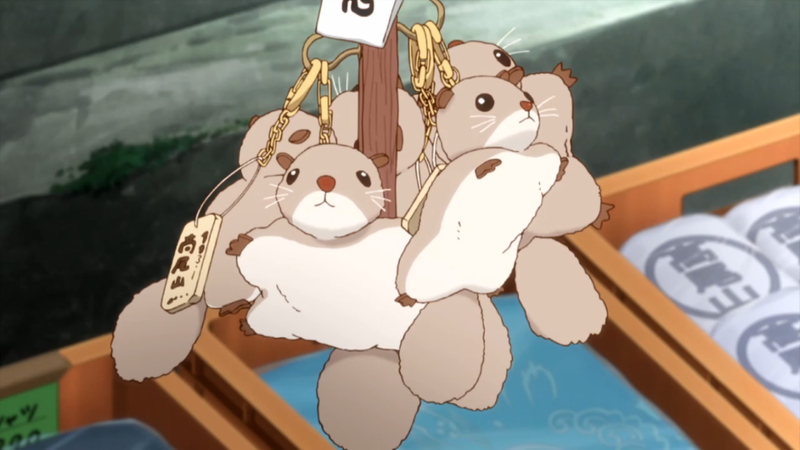 They actually had a poster of Aoi buying one of these flying squirrel keychains right here. 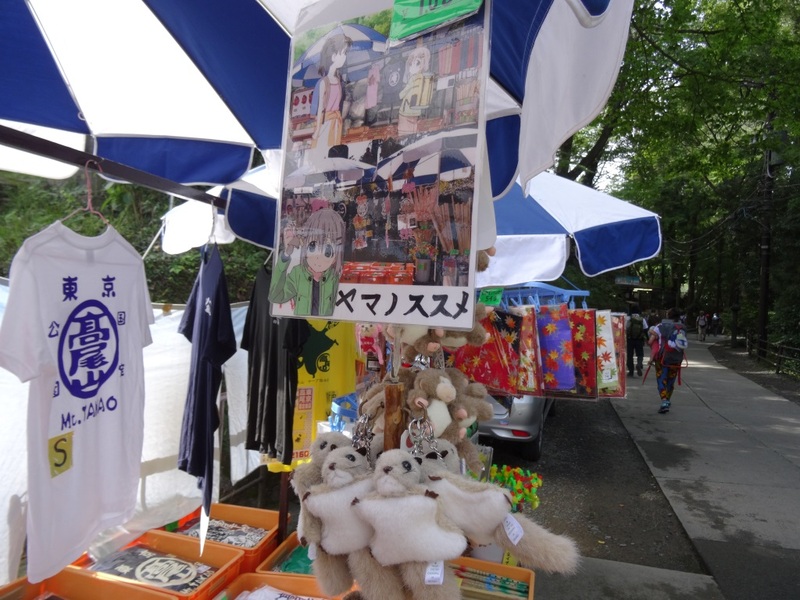 I saw other Encouragement of Climb illustrations in the souvenir shop as well. The sign behind Aoi is the same. 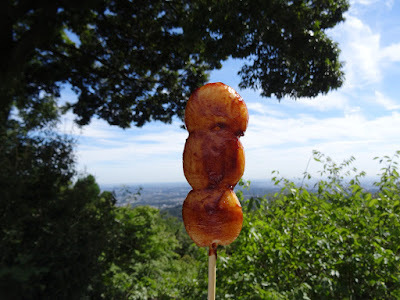 I've marked the path from Takaosanguchi Station to the grilled mochi shop in the map below.